ACT Chief Minister and Minister for Territory and Municipal Services, Katy Gallagher, today announced the arrival of an electric passenger car into the ACT Government fleet. This electric vehicle is the first of up to 10 expected to roll out across the ACT Government in 2012. "Territory and Municipal Services (TAMS) has welcomed a new Mitsubishi i MiEV electric car into its fleet and demonstrates our commitment to working towards reducing the environmental impacts associated with conducting business through the use of sustainable transport," the Chief Minister said. "This includes reducing the number of vehicles in its fleet and replacing vehicles with fuel efficient, four cylinder and environmentally friendly models including hybrid vehicles. 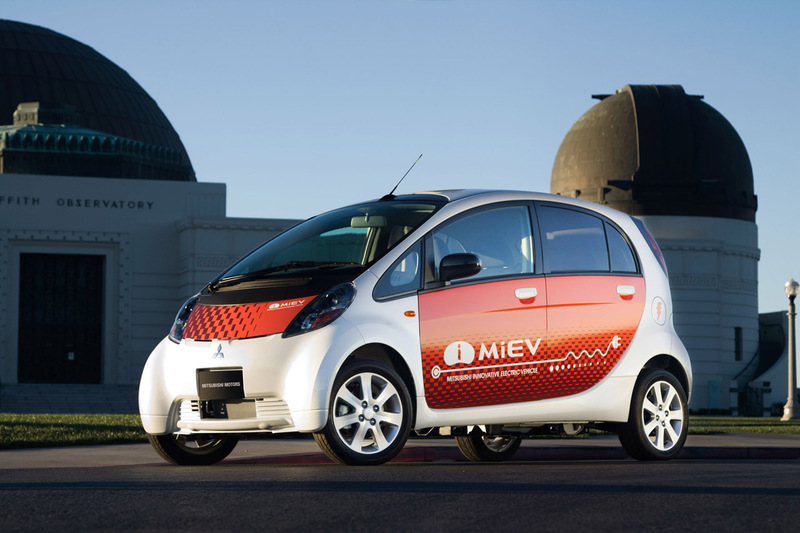 The Mitsubishi i MiEV was selected following a short trial and replaces a conventional petrol driven pool car. It produces zero greenhouse gas emissions and travels up to 100 km between charges. While the vehicle will use standard electricity, the trial will be used to determine how we can use 100 per cent renewable energy to power the fleet in the future. Charge points are being installed within the Macarthur House car park where TAMS is located. These will provide convenient daytime recharging when the car is not in use. Overnight charging facilities are provided at the TAMS depot where the car is garaged to ensure it is ready for use each day. "Implementing vehicle selection practices based on fuel efficiency and environmental performance is essential to decreasing our carbon footprint," the Chief Minister said. "The ACT Government supports the use of electric vehicles as one way of promoting a clean and sustainable future for Canberra and helping to achieve a 40% reduction in greenhouse gas emissions from 1990 levels by 2020. "The ACT Government is also a foundation member of the Better Place Australia electric car network which is being rolled out across Canberra and will play a key role in the transition from petrol to electric driving in the region. This trial will also be used to inform our use of that network. "With its eye-catching design, this new electric vehicle will draw attention and serve to encourage others to consider this environmentally-friendly form of transport option," the Chief Minister concluded.